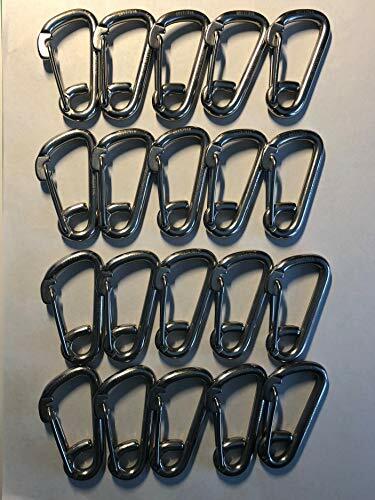 This is for twenty (20) quality marine grade stainless steel (AISI 316) spring hooks 1/4". Each spring hook is stamped 316 and laser etched 1/4" with the makers mark. The spring hooks are marked in the US specification style of 1/4". The Metric equivalent is generally considered to be 6mm. Not to be used for overhead lifting. AISI 316 stainless is a premium grade of stainless and is considered by many to be best in class. 316 stainless is corrosion resistant and very durable even in the harshest of conditions.